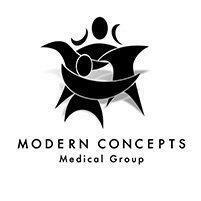 The Modern Concepts Medical Group is committed to providing compassionate, individualized health care for patients of all ages in three convenient locations in Pasadena, Boyle Heights, and Montebello, California. The team takes a patient-centered approach to family medicine and believes you deserve respect, understanding, and time to discuss their concerns. Using innovative, cutting-edge technology and equipment, the team of skilled physicians treats an array of health complications, including acne, allergies, asthma, arthritis, hypertension, hypothyroidism, diabetes, and more. In primary care, the Modern Concepts Medical Group physicians know that they’re often the first point of contact for a range of ailments and conditions. As well as diagnosing and treating your health complications, the Modern Concepts team also values education and provides important, relevant information to help you take better care of your health. For attentive, comprehensive primary care for you and your family, call Modern Concepts Medical Group or schedule your consultation online.